About TWS | The Internet Lead Marketing Traffic Site! Hello My fellow Internet friends, yes you are my friends because we’re on this journey together and we will soon become very successful. I created a name for my online company called True Web Success (TWS). The purpose and my goal are to give people (not just talk) valuable feedback after trying and failing a hundred of times and also contribute from my 32-year experience working in the Network/System Administration career field. The Internet is so vast and you know nobody owns it, but you can establish your real estate property in it. All depends on what type of structure you want to build, either a little cottage, a house, an apartment or a huge corporate high rise. You need to do your research, and then do more research, and even then keep doing some more research. Learning never stops, it’s us that when we see that things go the wrong direction we call it quits. I started my career in 1979 when I joined the military and chose the Information Technology Specialist career field. I thought to myself that most people, offices, business will need a computer to do their work, go to college and since technology has gone so fast and furious, somebody called a computer technician will need to fix them. I was right, the IT field has been one of the most rewarding careers ever for me and I’m so glad I made the right choice. But it wasn’t until about 20 years back that I started getting interested in the space known as the Internet and the huge potential in it. Please look at today’s staggering Internet Users World Stats. Can you guess where are we going every year? Yes, we’re going up and up. You need to know that people are switching to do things online more and more at least 80% to 90% of their time. The Internet population is growing by the Billions every year, so my friends we don’t have an internet traffic problem but rather our lack of knowledge on where are those people going or what they’re searching for? Can you tell me which three platforms are almost 4 billions users spending their day in it? If you guessed Google Search, YouTube and Facebook you are 100% correct. That’s our big dilemma. Now we know where they are hanging out, now we need to figure out which percentage of those 3.5 to 4 billion people are interested in what we have to offer. We Don’t Have A Traffic Problem! Please repeat this statement over and over (OK at least once a day) and eventually you will empower yourself to believe that sincerely after looking at the current stats, there’s no Internet Traffic shortage. What we have is a lot of misleading information to make you believe that in fact, traffic is very hard to get. 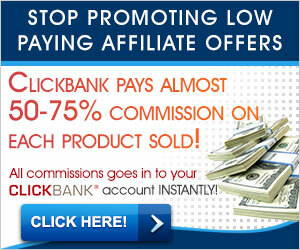 THE SO-CALLED INTERNET MARKETING “TRAFFIC GURUS” ARE MISLEADING YOU!!! I want to help people to take their website to new heights, as Captain Kirk stated “Boldly Go to Where No Website Has Gone Before” I am currently working with two Internet Traffic platforms that have a big chunk of those billions of users. Also, I am working with software that sends authority links to your website. (GOOGLE LOVES LINKS!!) One of those platforms can reach up to a billion people (Yes it is true but of course at a cost, but it is within your capacity and also budget). That’s insane but is true. Of course, all this traffic is Paid Traffic (PPC, PPV CPV, CPM), don’t worry you’ll learn more about these internet traffic models. With paid traffic you get what is called “targeted traffic”; these are the people that are constantly looking for something specific or desperate to solve their unique situation. Be Ready, Stay Focused and Above All come here often so I can feed you with internet traffic information. True Web Success is about helping you to find those people so you can give them what they want. There are traffic networks (legal and reliable ones) that have done the hard work for you in categorizing these Internet users. 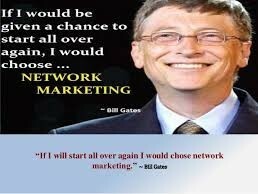 I like to follow people who have been successful, so I follow those like Bill Gates, Steve Jobs and others who made it in the Network/Computer field. So learn from them and follow their process. You will slowly but surely find success. Again hard work is the key. Don’t think that it will be easy, not a chance, but it will be all worth it in the end. If you ever need a hand or have any questions, feel free to send me an email at any time at trafficmaster@internetleadmarketingtraffic.com and I will be more than happy to help you out.